One Prong or Two? 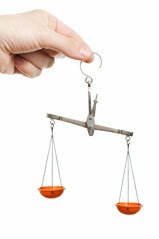 What Is a Defendant’s Summary Judgment Burden? defendant has shown that the plaintiff cannot establish at least one element of the cause of action by showing that the plaintiff does not possess, and cannot reasonably obtain, needed evidence . . . . Some plaintiff’s counsel rely on this language to argue that Aguilar establishes a two-prong burden that must be met by the defendant before the burden shifts to the plaintiff, i.e., (1) plaintiff does not possess needed evidence, and (2) plaintiff cannot reasonably obtain it. I disagree. Correctly read, Aguilar should only require a moving defendant to establish that the plaintiff cannot establish at least one element of the cause of action by showing that the plaintiff does not currently possess needed evidence. If the defendant establishes that plaintiff has no evidence, the burden should shift to the plaintiff, who can meet its burden by either presenting evidence to establish that a material question of fact exists, which would defeat the summary judgment motion, or arguing that it needs additional time to conduct discovery to obtain evidence to oppose the motion. If the plaintiff takes the latter route, it must request a continuance under CCP §437(h) to conduct further discovery and it must identify what additional evidence may exist to defeat the motion. Then, the conditional second prong of Aguilar is triggered and shifts the burden back to the moving defendant to show that the plaintiff “cannot reasonably obtain” the needed evidence, despite plaintiff’s request for additional discovery. For a thorough discussion of the evidentiary burdens involved in summary judgment motions, turn to CEB’s California Summary Judgment, chapter 4. © The Regents of the University of California, 2010. Unauthorized use and/or duplication of this material without express and written permission from this blog’s author and/or owner is strictly prohibited.